In her previous post for us, Jaillan Yehia, shared her recommendations on where to stay for a relaxed beach break in Cape Town. In this post she reveals her tips for things to do, see, eat and where to sleep in lively Adderley Street. Smack bang in the middle of Cape Town's Central Business District, Adderley Street is a mere moment's stroll from Cape Town's key tourist sights, and stumbling distance to the city’s main 'scene' on lively Long Street. 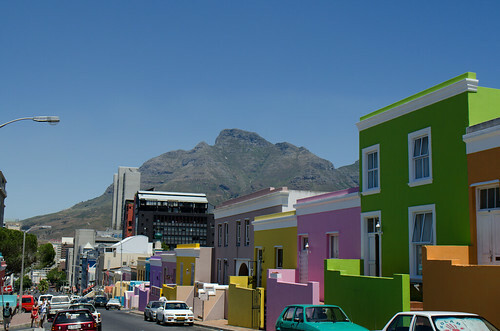 Staying in the city centre gives you the freedom to walk to everything - from the Company's Gardens, parliament building and the flower market to the Slave Lodge and the colourful and photogenic Bo-Kaap district. Cape Town's museums such as the South African Museum, Gold of Africa Museum, South Africa National Gallery, Jewish Museum, and District Six Museum to name just a few are within a couple of blocks, making it easy to get your dose of culture and history while you’re in town. 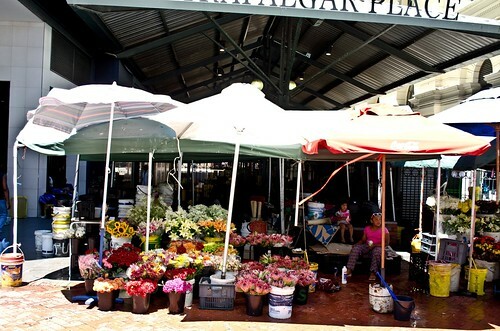 You'll also have Cape Town's best shopping - with the exception of the Waterfront - on your doorstep including the nearest thing Cape Town has to a pedestrianised European style core with cafes, shops and period architecture, in the area around Greenmarket Square. Staying so centrally gives you a real feel for the city and if you have a short period of time to experience all Cape Town has to offer, this middle-of-it-all location is a great choice. Fans of an urban experience will love the proximity to Long Street’s boutiques, cafes, bars and clubs which will keep you interested from dawn 'til dusk and give you a full-on city break experience. If South Africa's many natural wonders feature heavily on your itinerary then this foray into the urban jungle makes a great contrast for your time in the Mother City. 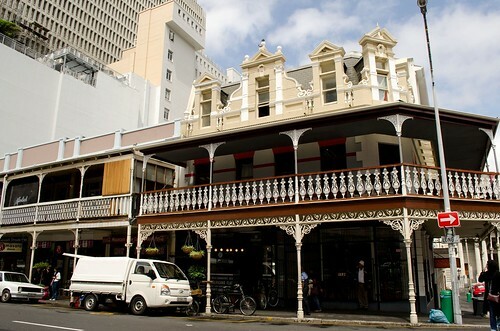 Adderley Street at-a-glance: Ideal for couples or those seeking a city centre flavour, staying on Adderley Street gives you a snapshot of real life in downtown Cape Town – so be ready to encounter beggars or the odd derelict building, as you would in many city centres. Also be prepared to have culture right on your doorstep, join in the inspiring nightlife and enjoy the feeling of having your finger on Cape Town’s famous urban pulse. Eat: The Royale Eatery on Long Street does 'burgers that make your soul tingle'! 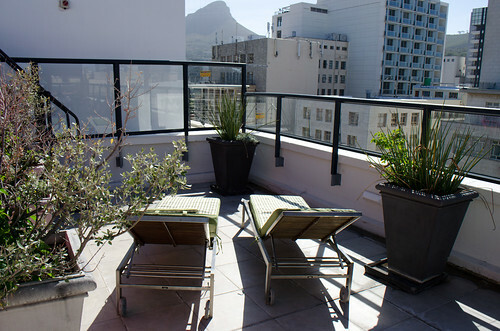 100% urban chic, this contemporary boutique hotel has huge suites with wall to wall windows overlooking the epicentre of Cape Town. Styled in neutral colours with flashes of hot pink throughout, rooms have stylish kitchenettes, luxurious bathrooms and separate bedroom and living rooms so you can really make yourself at home. The hedonistic rooftop pool is straight out of Manhattan and from here you can take in the stunning views of the cityscape laid out before you. 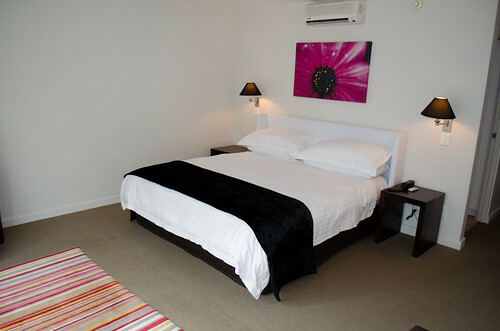 Facilities also include secure onsite car parking and a bar and restaurant and staff are helpful and attentive. For more information on holidays in South Africa visit our South Africa Travel Guide. For help planning your own South African adventure call 0208 045 4186.